The word 'aromatherapy' refers to the use of essential oils to facilitate the recipient's self-healing processes. This word 'aromatherapy' is derived from the two words "aroma", which means fragrance, and "therapy", which means treatment. The word 'aromatherapy' therefore conveys the ideas that the essential oils used in aromatherapy are fragrant, thus detected by our sense of smell, and that when selected and applied appropriately they may have therapeutic effects. Essential oils may be applied in a variety of ways, such as evapourated into the air, massaged into the skin, dispersed in bathwater and so on. However, aromatherapy as a therapy or treatment usually refers to a body-work treatment in which a practitioner applies a blend of essential oils diluted in carrier oil(s) to the client's skin. The earliest pictorial references associated with aromatherapy are images on the walls of the Lascaux caves in France which are thought to date from approx. 18,000 B.C.. Most aromatherapy texts claim that this therapy is at least 6000 years old and refer to the many ancient cultures from different parts of the world that are believed to have used scented oils to aid relaxation and healing. These include Ancient Egypt, China, Greece, Rome and others. These ancient civilizations may not necessarily have used scented oils in the same way as each other, or in the same way as aromatherapy is practised today but there is evidence of use of scented/aromatic oils for the purposes of physical, mental, emotional, and/or spiritual well-being. During the Renaissance in Europe (ca. 1450-1600), explorers and merchants brought exotic herbs and oils back to Europe from the Middle and Far East, interest in these luxuries grew, especially among the middle- and upper-classes. Wigs were scented with aromatic oils and people carried scented handkerchiefs to overcome the effects of unsanitary streets and living conditions. Lavender and rosemary oils were used to fumigate French hospitals. Key developments leading to the modern form of aromatherapy took place in France during the middle years of the 20th century. Dr. Rene Maurice Gattefosse published a book about the anti-microbial effects of essential oils in which he used the term 'aromatherapy'. Dr. Jean Valnet also conducted extensive research using essential oils. Valnet's research results and the massage techniques established by Margaret Maury and her co-researcher Micheline Arcier form the basis of modern aromatherapy as taught today. 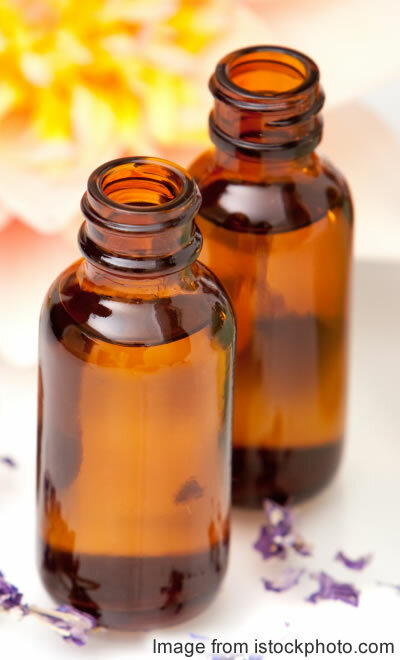 For more detailed background information see the history of aromatherapy. There are several ways in which an aromatherapy treatment can be given, and even more ways in which aromatherapy can be used. Aromatherapy body massage or an adapted version if some parts of the body are not to be treated for any reason. Aromatherapy Indian head massage, note that Indian head massage alone is usually a 'dry' treatment, meaning that no oils or creams are necessary. The form of the treatment may therefore be similar to the form of the corresponding basic treatment, without the use of essential oils. There might be a more detailed initial consultation in the case of aromatherapy than, for example, for a holistic massage without essential oils. This is because the aromatherapist will be concerned not to use oils to which the person is likely to be allergic and also to select the oils most likely to be beneficial to that particular person on that day - which might depend, for example, on if he or she would like to be invigorated or relaxed. The person who will receive the treatment might be involved in helping to select the essential oils to be included in their personal blend. The experience of receiving an aromatherapy treatment should be enjoyable so it makes sense to avoid the use of any scents that the person finds unpleasant. However, the selection of essential oils for an aromatherapy treatment isn't based on the person's scent preferences alone. It is important to know that some oils are inappropriate for some people/situations, hence the aromatherapist's expertise should result in him or her only offering as possibilities essential oils that are appropriate in that particular situation. Some aromatherapists favour a gentler massage technique than that often used in general massage. However, in all cases, the particular style and vigour is subject to client preference. If any of the aromatherapy oil (specifically selected essential oils diluted in a suitable carrier oil) blended for a particular treatment remains after the treatment is completed, the aromatherapist might offer this to the person to take away with him or her and use later, e.g. in bath water. See the pages about massage and reflexology for further information about what happens during typical treatment of those types. Maggie Tisserand, "Aromatherapy for Women", Thorsons, Revised edition, 1990. Len Price, "Carrier Oils for Aromatherapy & Massage", 3rd Ed., Riverhead (Pubs. ), Stratford-upon-Avon, Warwickshire (UK), 1999. See aromatherapy books for more titles available to order online. Introductory aromatherapy courses are available from many local colleges. For a personal introduction to this subject and to meet like-minded people who have similar interests, find out what is available in local your area.